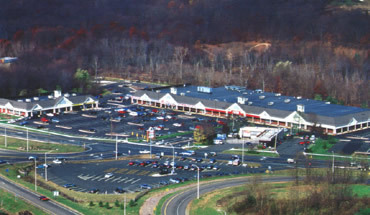 Danbury Green shopping center by Miller & Favazzo Properties - quality real estate development and property management. Developed in 1999, this 95,000 SF shopping center is a mixed-use development that also features a Hilton Garden Inn. Tenants include Starbucks, Staples, Trader Joe's and one of the leading furniture retailers in lower Fairfield County, Lillian August.